What’s all the Hype about KETO? Keto: Learn the key facts on this much publicized lifestyle and what is its role in healthy weight loss. 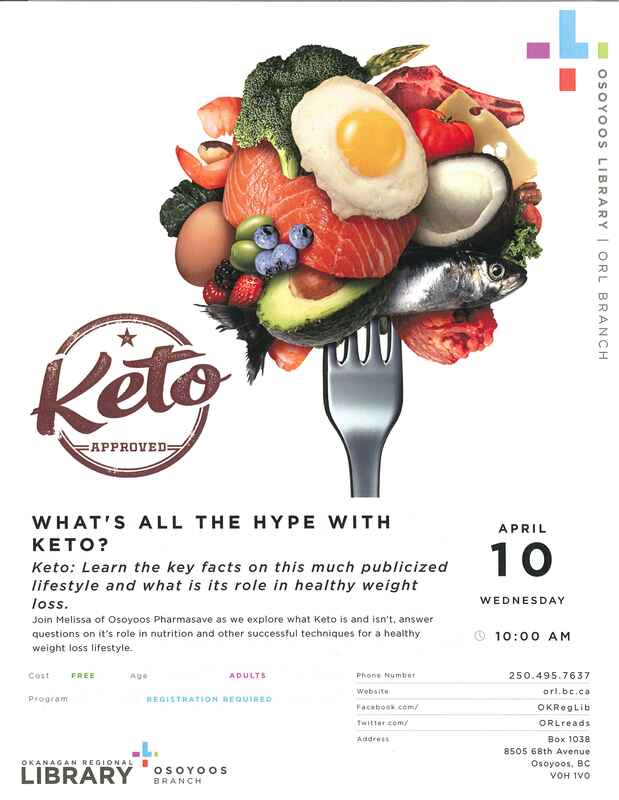 Join Melissa of Osoyoos Pharmasave as we explore what Keto is and isn’t, answer questions on it’s role in nutrition and other successful techniques for a healthy weight loss lifestyle.